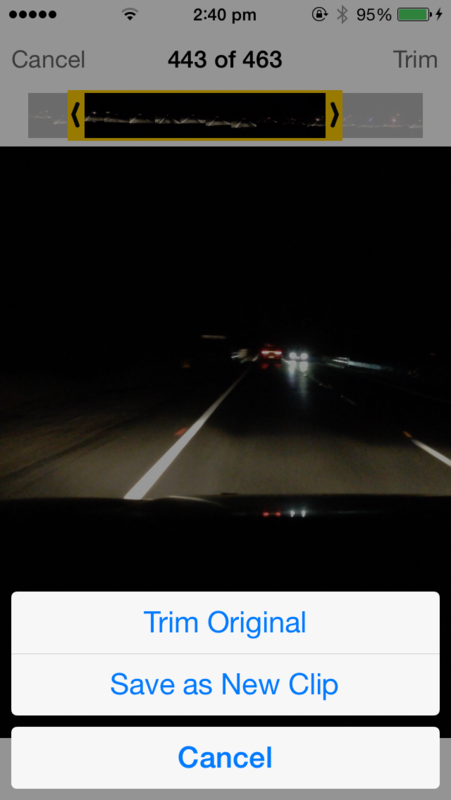 I have noticed since updating to iOS7 that Apple have not made it easy to figure out how you can edit/trim a video without another app but there is a way without the need for another app. First goto your Photos App and click once into the video you wish to edit. You can now trim your video to the bit you want by simply holding down your finger on the left or right yellow arrows and moving them to the selection of the video you want. You can now simply choose to either save the selection as a new clip or to overwrite the existing video. I recommend saving as a new video file to avoid overwriting the original.